Go Ape is something I've wanted to do for a long time. Although I may not look particularly sporty or active (spoiler alert: I'm not! ), I loved the idea of swinging through the trees and scrambling up rope ladders. I'm not scared of heights and I'm not particularly prissy. Whenever I see celebrities cry in the rope ladder in the jungle, I shout "Man up!" at my TV. You wouldn't catch me wailing that I can't do it, oh no! I'd be straight in there. Erm... except that is exactly what I ended up doing. Things started great. At first, I was worried I'd be too fat and the harness wouldn't fit me, but when I got there I noticed that the guidance said it's suitable for people up to 20.5 stone, so that reassured me. Of course the harness fit fine and it wasn't as uncomfortable as I expected. Our instructor, George, was really helpful and explained everything really clearly. We had a practise with clipping our harness onto the wires before we headed over to our first of five zones. They start really low to the ground and the first challenge was to climb up a short rope ladder, cross a tightrope (while holding on!) and then zip wire down. Easy peasy! Once we'd reached the bottom, George sent us off to explore the rest on our own. At the second zone, we climbed up a larger rope ladder, which was a bit wobbly, then crossed a rickety bridge before taking on the Tarzan Jump: Swinging from a platform into a big cargo net, which we had to scramble up to reach the problem. This is where my problems began. This will be a surprise to nobody, but I have zero upper body strength. I cannot emphasise enough how weak my arms are. Once I caught hold of the net, I tried to climb up... and I got stuck. The net was (obviously) moving around a lot and I couldn't pull myself up at all. I was left just clinging onto the net until a staff member shouted up that he was going to help me. Poor man had to winch me up himself! After that, I was completely shaken. I wasn't scared of the heights. I wasn't scared of falling. I was scared that I would slip and be unable to pull myself back up onto the course. I did manage to complete the third zone but it was through tears, with awful light-headedness and nausea. After that, I decided to sit the next two zones out and Rich insisted on not leaving me alone so we ended up heading back to return our harnesses. I still got a little certificate but it felt a little empty since I didn't complete the course. I was so annoyed with myself but there was no way I could continue. I've set myself a challenge though- I'm going to work on my upper body strength and return next year where I will, hopefully, finish the course. Until then, tell Ant & Dec not to bother calling! If you're braver than me, buy Go Ape tickets here. 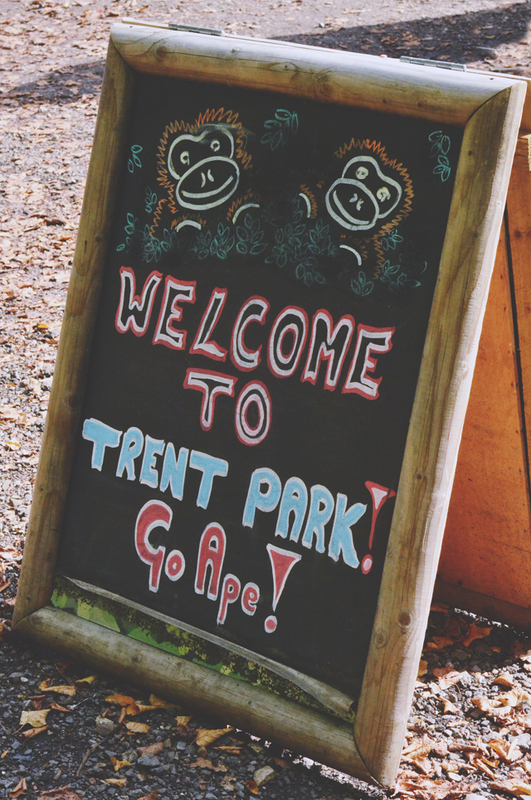 Go Ape provided me with complimentary tickets as part of their affiliate programme. Affiliate links have been used in this post. I did Go Ape as part of my hen do. It was amazing and terrifying in equal measure. And i totally hear you on the upper body strength. Go Ape really tests it. Hope you get to go back soon. The zip wires are by far the best bit!! Sorry to hear that your adventure wasn't as fun as you expected! Glad to hear that you've set yourself a goal, hopefully your next trip will be a more enjoyable experience! I had a similar experience at Go Ape. I went for a friends stag do and lets just say I'm not the best with heights. The one we went to had 5 different sections, I managed the first one just, but had a full blown panic attack for the first time half way through the second one. I kind of knew I was being a little dramatic, but I couldn't stop shaking and crying. I finally managed to get down, and skipped section 3 and 4. I wanted to try again and get over the fear so I did section 5 which was better, but I feel like I failed a bit. I sort of want to go back, but I'm not sure I'm quite ready for it! Oh no I can't believe you "failed" although i also have zero upper body strength so its put into sharp reality maybe I won't be going to go ape any time soon either. (Seriously I struggle to carry my bag most days). You did better than I could ever do! I can't even look at them without shaking haha! You were brave to try it! I have the strength, but I'm afraid of heights, I'm not sure I would be able to finish the course. 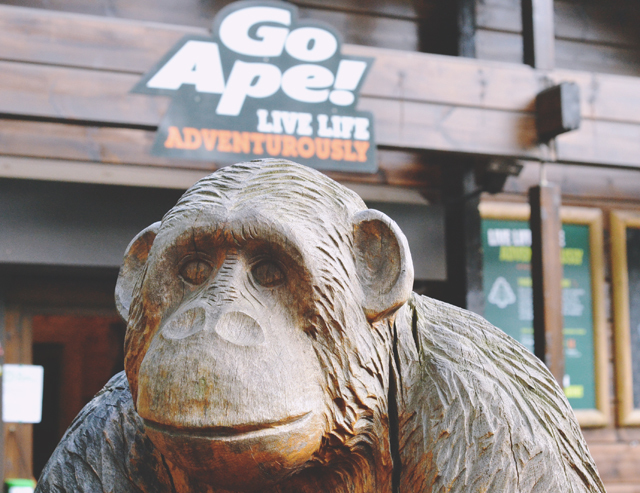 I've never tried a Go Ape course before but I think it looks like so much fun! I'd love to give it a go but I know for a fact I would be terrified and peeing myself just a little at every stage! I've always wanted to have a try at Go Ape, I like the thought of zip wires but I'd not thought about the other things I'd have to face! This reminds me of when I tried rock climbing. I went with all my super fit friends and made a total douche of myself - absolutely no upper body strength. I managed to do the easiest route just once and then I watched everyone else do two or three climbs. Le sigh. Definitely need to hit the weights! Those nets are really difficult! I've been twice in the last few years and the first time I went I was really surprised by just how much effort it was to get off of them, especially with them moving around and the fact that they actually kinda hurt. I've never actually heard of this place but I've got zero upper body strength as well so I suppose I would be useless! 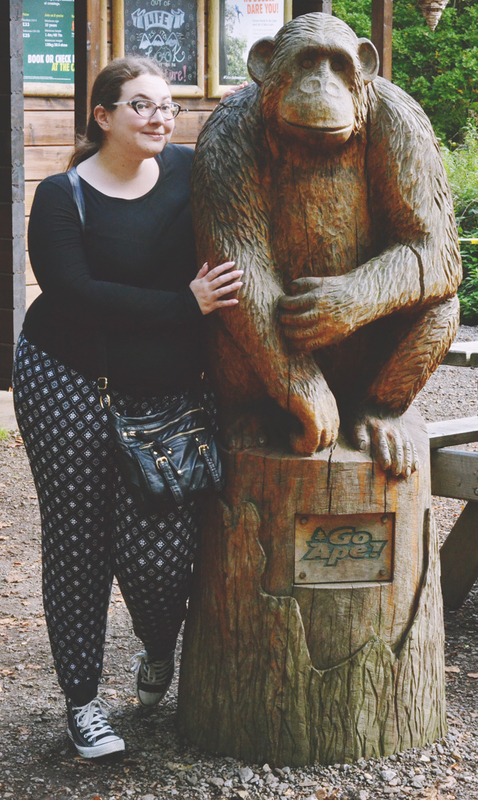 I took my boyfriend to a Go Ape for his birthday even though I suffer from vertigo I thought it would be fine. It wasn't, I am not a crier but there were allot of tears that day and though I made it round it was not enjoyable. I think I want to head back again soon and give it another go because I hate being beaten. I've wanted to try Go Ape for ages, thinking of doing it next year - but just like yourself, I have no upper body strength!! Think I might to spend some time in the gym!!! Oh gosh I'm the same! Well I can carry a heavy box for a short distance but lifting and pulling (myself or things) I find really difficult. Ha ha! Oh you poor thing, I'm totally with you. My dodgy back is caused by having literally no upper body strength in order to hold myself up. Yep, my body is so weak I can't even stand up straight - epic fail at living right there. I normally love this kind of stuff too, but when my boyfriend bought us tickets for my birthday last year, we went and it made my anxiety go through the roof to the point where I was almost in tears- and this is from someone that will happily jump off cliffs and bridges into the sea and rivers! I think it was partly because the staff member was just watching us both the whole time and it made me feel rushed and pressured to be quick that I couldn't enjoy it. Aw lovely, I would have been the exact same as you. Good on you for being honest about your experience. Oh dear, that's a shame! I've always wanted to do Go Ape. 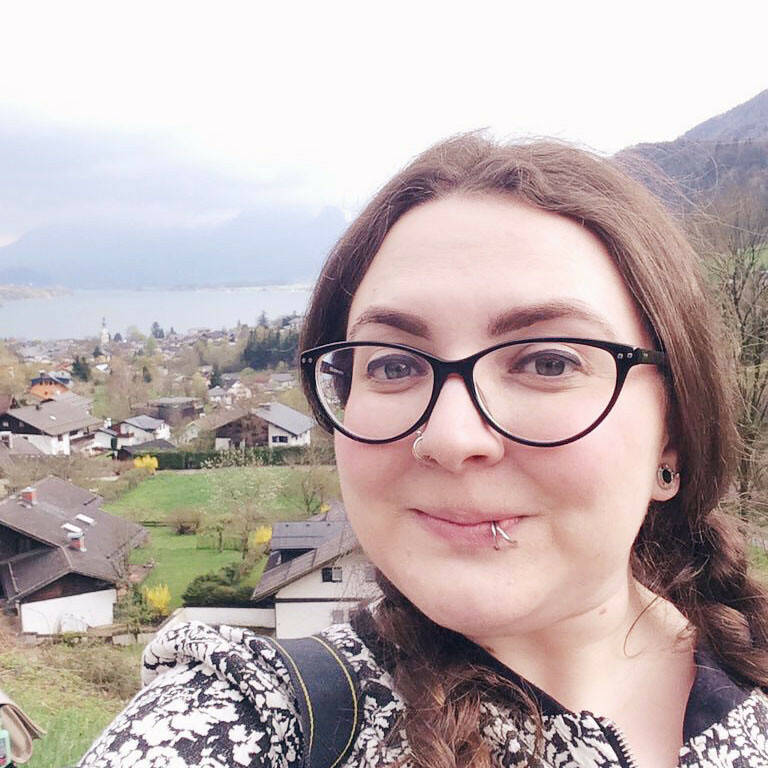 Definitely interesting to hear your experience - and from everyone else in the comments! It sounds tough, that's for sure. I've just been to Go Ape and had exactly the same experience. I could do it all, apart from the cargo nets which are unsecured from the bottom. Part of the problem was arm strength, but the biggest issue seemed to be my centre of gravity. I was put in a full body harness with shoulder straps, which I've now read is because obese people have a higher centre of gravity which can mean that in a standard harness, they could go upside down and fall out. If my collegues let go of everything, they ended up in a sitting position. If I let go, I ended up flat on my back. This is where the problem lies - it was impossible to get my feet under me to take the weight, all I could do was use my arms, which was impossible. I had to be rescued from the tarzan net which wasn't too bad, but the really embarrassing part was that I couldn't traverse a horizontal net, which itself was an easy bypass of some rings. It was the same deal, in the middle, my legs were so far in front of me, I was basically clinging to the bottom of a 30 degree net. In the end I fell into the harness and had to catch my breath before using the net to pull myself to the next end.